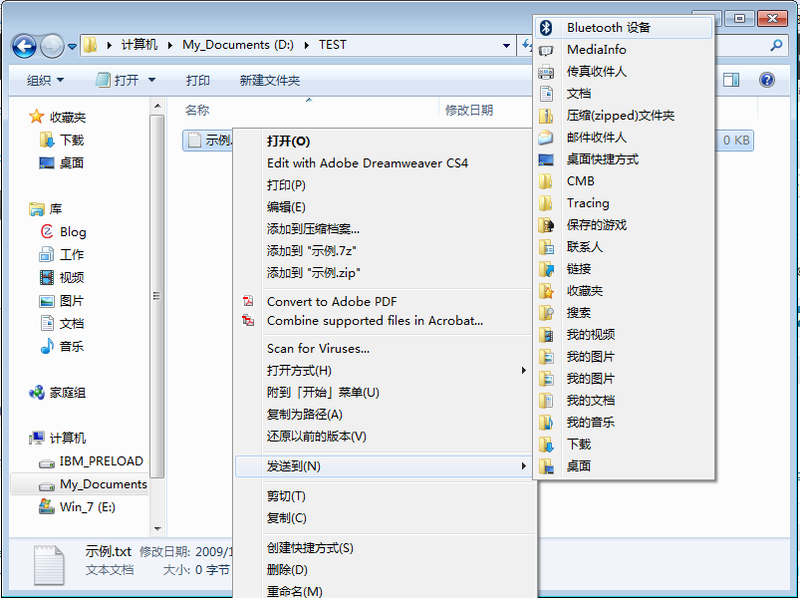 原文链接： Stupid Geek Tricks: Secret Items on the Windows 7 Send To Menu :: the How-To Geek. 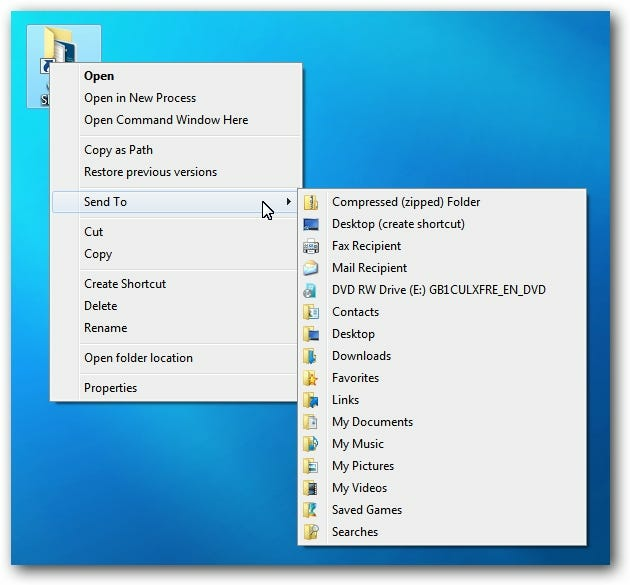 While poking around in Windows 7, I discovered extra context menu items using the same Shift + Right-click trick we used to open a command prompt from the desktop menu, and we’ve got big colorful screenshots to show you today. 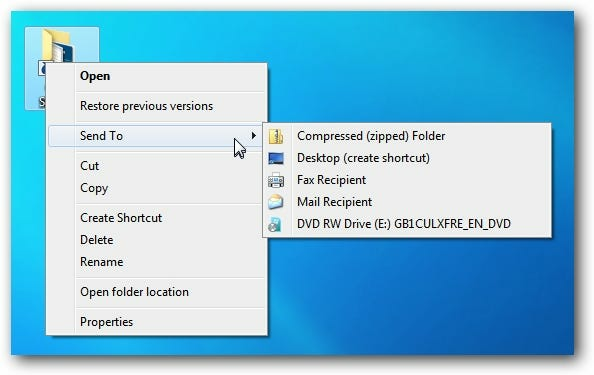 Hold down the Shift key while right-clicking on the icon, and then try the Send To menu… all sorts of extra options! And then drag shortcuts to your preferred folders into this folder. 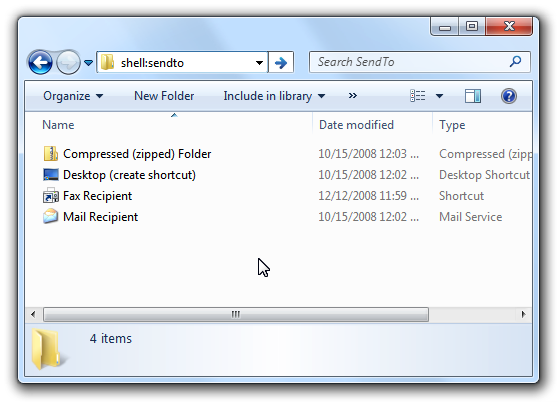 I’ve found that using custom shortcuts in the Send To menu can be very handy… I use them to upload images to the HTG web server on a daily basis.